I no longer chase happiness. I believe, much like renowned psychiatrist and Holocaust survivor Viktor Frankl, that you can’t PURSUE happiness. It ensues when you live a meaningful life. What you CAN chase after is resilience. And I have been pursuing that bad boy with everything I have for the last ten years. My self-help book shelf in the living room and in my bedroom (bad Feng shui, I know) and in my son’s bedroom (where I work) is lined with books that contain the word RESILIENCE in the subtitle, by authors promising to make me more resilient in five steps or eight or sometimes twelve. Active Optimism. Optimism is more than a belief, it’s a mandate for change. It’s the inclination to move forward when others are retreating. Decisive Action. You must acquire the courage to make difficult decisions. Moral Compass. Use honor, integrity, fidelity, and ethical behavior to guide your decisions under challenging circumstances. Relentless Tenacity and Determination. Persistence can be omnipotent. Interpersonal Support. Who has your back? Their science is fascinating and I think they are right about much of developing this “psychological body armor,” as they call it. However, the two pages I resonated with most in the book were not about getting stronger or about any one of the five factors. They were about failure. I suppose it’s because I’ve only recently become really okay with my failures—not living up to the expectations I set for myself, running into my weaknesses over and over again like an old boyfriend, accepting the limitations of living with a chronic illness. I walk around the beautiful grounds of the Naval Academy most mornings and see the young midshipmen doing stomach crunches and push-ups and getting yelled at by some guy with one more stripe on his jacket. 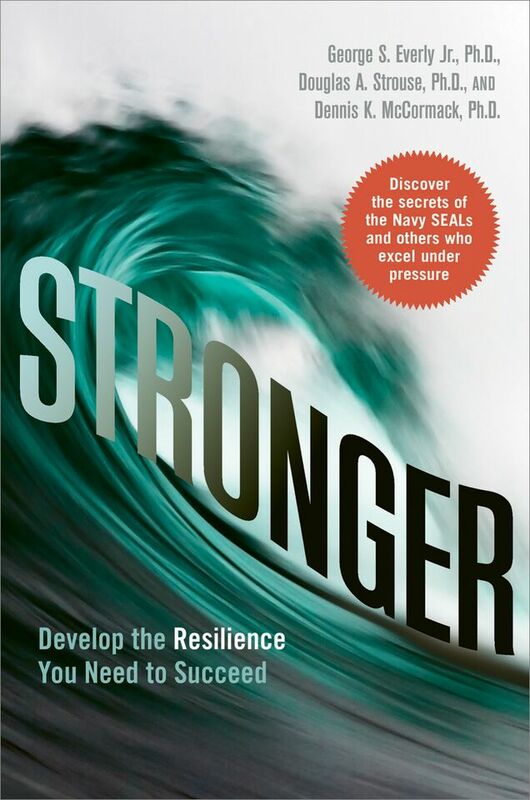 Some of them will go on to become the Navy SEALS that personify our concept of resilience, the guys that hold the secrets to real STRENGTH that I’m reading about in this book. But I resonate more with the peeps on the sidelines: the guy who gets fired after 40 years of service to a company, the woman who can’t afford the treatment for her cancer, the teenager who has to drop out of high school to get her emotions under control. I connect with them because I have failed more often in my 44 years on earth than I have succeeded. And all those failures have instilled in me resilience. In that sense, you actually leave the gym a weaker person, but you wake up stronger. A new MRI study by University of Southern California and a group of international researchers published in the journal Nature Communications illustrated this very point. “We show that, in certain circumstances, when we get enough information to contextualize the choices, then our brain essentially reaches towards the reinforcement mechanism, instead of turning toward avoidance,” said Giorgio Coricelli, a USC Dornsife associate professor of economics and psychology. For the study, researchers engaged 28 subjects, each around 26 years old, in a series of questions that challenged them to maximize their gains by providing the right answers. If they chose a wrong answer, they lost money, while right answers helped them earn money. One trial prompted their brains to respond to getting the wrong answer with avoidance learning. A second trial prompted a reward-based learning reaction, and a third but separate trial tested whether participants had learned from their mistakes, allowing them to review and understand what they got wrong. Coricelli said this process is similar to what the brain experiences when feeling regret: “With regret, for instance, if you have done something wrong, then you might change your behavior in the future,“ he said. Of course in the study the information needs to be there to learn from failure—which requires humility and open-mindedness, the qualities that you typically develop when you reach the threshold of pain, when you are sick and tired of being sick and tired. Jordan is right. 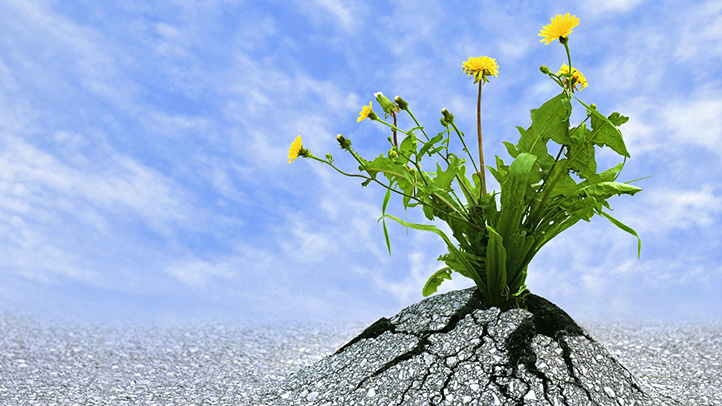 Failure is the most direct path to resilience. Our weakness, in fact, makes us strong. You are RIGHT ON, this morning, thank you!!! Therese – I have been reading your blog for the past several years. Over the past 6 months or so, your words have consistently rung true with me. I, too, have experienced many, many setbacks throughout my life. Some minor, others colossal. I believe that you only truly fail if you don’t learn and grow from the experience. It may take time to ultimately figure out what lesson can be drawn from such a painful time, but when that lightness comes over you, you realize it made you that much stronger and ready to tackle what comes next. I recently read “Daring Greatly” by Brene Brown. The books title is taken from a passage from Theodore Roosevelt’s “The Man in the Arena” speech. This is the passage: “It is not the critic who counts; not the man who points out how the strong man stumbles, or where the doer of deeds could have done them better. The credit belongs to the man who is actually in the arena, whose face is marred by dust and sweat and blood; who strives valiantly; who errs, who comes short again and again, because there is no effort without error and shortcoming; but who does actually strive to do the deeds; who knows great enthusiasm, the great devotions; who spends himself in a worthy cause; who at the best knows in the end the triumph of high achievement, and who at the worst, if he fails, at least fails while daring greatly….” For me, high achievement is my own personal best. It’s not living up to society’s, my family’s, my friends’ or anyone else’s expectations. I, too, am learning about and defining my limitations. As I continue on my journey, I’m realizing and coming to terms with the fact that I have certain limitations (e.g. low tolerance for stress). These limitations do not make me weak. Therese, thank you for your insight, your encouragement, your wealth of knowledge and your honesty. There is no doubt that you are strong and resilient.